Grant Hunt established his experiential tourism company Anthology: The Traveller's Collection in 2007. 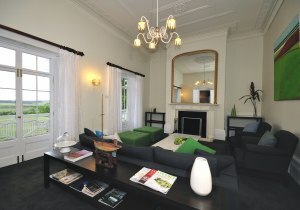 His aim was to build a portfolio of unique and boutique eco-tourism assets throughout Australia. The collection now includes the Bay of Fires Walk and Lodge, Cradle Mountain Huts and Quamby Estate in Tasmania and Wilpena Pound in the World Heritage listed Flinders Ranges National Park, South Australia. Prior to this for more than a decade Grant was the creator and driving force behind Voyages Hotels and Resorts. 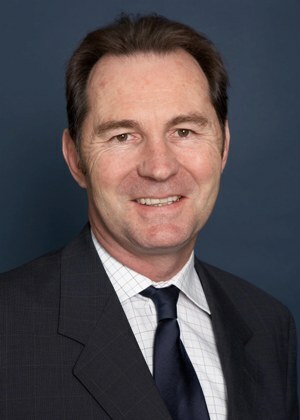 He is an industry pioneer in the area of corporate social responsibility and sustainablility. What inspired you to create Anthology? I was very proud of the work we did creating and building Voyages, but towards the end, it was a big company with over 2000 staff, and I wasn't getting to do the things that I enjoyed most about the industry. Specifically, this related to being able to influence the touch points - those little things that make all the difference in a stay - the ability to create new and interesting ways of doing things. So, when I had the opportunity to do it again, I wanted to make sure we did it in a bespoke and boutique way so that I would be hands on in the development stages. The inspiration was to create something that was really bespoke and special. You have talked about Anthology as beginning with a "dream of creating one of the world's finest experiential travel brands". Do you think "experiential" travel is what luxury travellers want for the future? I think the definition of luxury has deepened over recent years. It is much more multi layered than it once was. It means different things to different travellers. Sure, the traditional perception of luxury will always hold true for a few, but more and more travellers are valuing the rarity, exclusivity, uniqueness and transformational aspects of travel. If done well, all of these things can be considered the height of luxury - with the right touches of course. So yes, I think more and more luxury travellers are seeking experiential travel that meets these criteria. What is the single best/defining thing about the Anthology properties? Their individuality. Their personalities and characters are quite unique in each case. Bespoke, authentic experiences and adventures (I hope). But the price/quality balance will play a bigger role going forward. 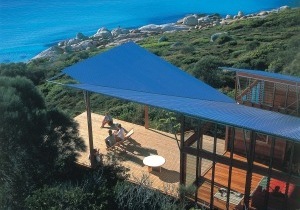 Your properties are often in areas of outstanding natural beauty - Bay of Fires, for example. Can eco-tourism and luxury co-exist? Eco-tourism is a bit like luxury - it has deepened in definition and now means different things to different people. For me, there is a great sense of luxury in rarity and the privilege of being in a remote, sensitive area doing things that not many get to experience. If this can be offered with luxurious touches (and I don't mean opulent), then I'd say they can co-exist very nicely. Without a doubt, the "software". The human factor involving anticipation of guests' needs personalised service, individual recognition and reward, and the ability to make you a feel a bit special occasionally. That and the special little touch that surprise and delight. 1. Jack's Camp in the Kalahari region of Botswana. There's nothing like cresting the edge of a massive salt pan in the middle of nowhere at dusk to discover a linen drenched table lined with the best Gin and Tonics money can buy. Or to have hot coffee bought to your tent at 6am wake up before safari. 2. The Victoria Jungfrau Grand in Interlaken because my old friend Mani Berger used to run it for many years and it is old fashioned luxury hospitality at its best - a highly regarded restaurant and opera singers to entertain. That and the fact I always got the best room in the house probably helped! New York in winter . Paris in summer. Ristorante Miky in Monterosso on the Cinque Terre in Italy. The best and most varied anchovy dishes I have ever had. I think I really appreciated it after a full day's walk. Emirates First for the privacy. Singapore Business for the service. Easy. My camera. My walking gear. My goggles and speedos. I still think Longitude °131 i s one of the best things I've done in Australia. Overseas, it's hard to go past spending a day with the Kalahari Bushmen in the Makgadikgadi salt pan regions of the Kalahari while staying at Jack's Camp. A seat at the pointy end of the aircraft. A good sky for my photography.